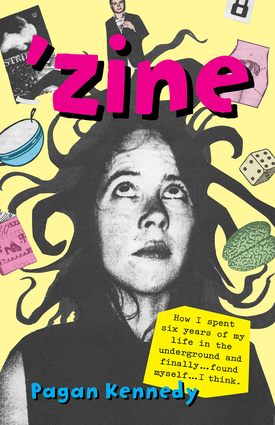 Back in print for the first time in a decade, this is the hilarious autobiography of a pioneer of the 1990s zine movement. A young woman named Pagan, having just graduated from a writing program at a very prestigious university, is left with a single burning question: Now what? She then takes an unusual step by deciding to invent her new self—the one the public will know—by starting her own magazine, one that will be written, created, and star none other than herself. Pagan Kennedy is an author and pioneer of the 1990s zine movement. She is the author of 10 books, including Black Livingstone and The First Man Made Man. She is a regular contributor to the Boston Globe and has published articles in dozens of magazines and newspapers, including Boston Magazine and the New York Times. She lives in Boston.